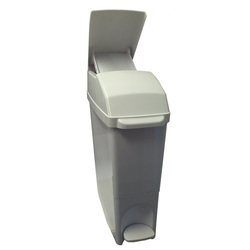 The Compact Unit Professional bin used by toilets and is also easy to clean. - Attractive, slimline bins that fit most washrooms comfortably. Our 110Ltr waste bin, made in SS steel molds for smooth surfaces. 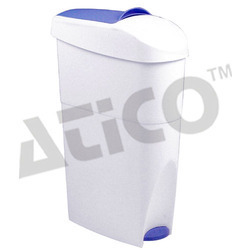 - Attractive, slim line bins that fit most washrooms comfortably. - Robust pedal designed for long-term use. - Touch-free operation promotes best hygiene. We are offering Feminine Hygiene Bin.